I've been toying with an idea of late, every time I see a car driving aggressively or erratically, just the needless risk taking that jeopardizes other motorists and pedestrians. 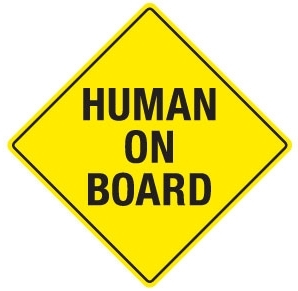 The idea that some how when we get behind the wheel of our cars we dehumanize everything on the road, taking for granted that in those other cars, and walking down the road are sentient human beings, regardless of age, each one is precious and irreplaceable. We only have a finite amount of time here, and I plan on making the most of it, and I really don't want some ones urgency to get to the drive thru for coffee to put that at risk. cropped and presented with out permission, all rights belong to linked creator. I find myself, with some caveats agreeing. The caveats, and I think he meant them as well, is that this isn't to lesson or take away from horrific crimes which have occurred with guns, the Montreal and Columbine shootings for example. Those were horrible crimes, which involved fire arms, but were premeditated. This was a crime that was the kind of spontaneous* violence that occurs when people stop considering each other (and likely themselves) to have any value. It is the reckless and thoughtless decision making without a care for consequence or society. It takes an iota of self work and conscience to say "I'm in a crowded place lets take this some where else. Never mind the more sophisticated processing that says "This just isn't worth fighting about" and walking away.. This isn't a cry for gun control** but a plea for some humanism, humanism in the street, in the car, and in life. Recognize the people around you as people, recognize yourself as a person, and realize that the golden rule is as relevant a rule today as it ever has been. * not with standing the premeditation that occurs when you strap a loaded hand gun on and go out in to the public, you obviously mean for it to be there for some purpose? ** I really don't see why people need the right to own a handgun, I'm sure they are fun to target shoot with, but the hand gun is really a single purpose item, it is design for compact people killing, and target shooting is just practice for the real thing. Long guns are more general purpose, and difficult to conceal. They have clear sporting value, and permit the enjoyment of marksmanship as well. That all being said, I do realize that the majority of handgun crime is done with illegally owned handguns, and that out and out banning of handguns wouldn't necessarily solve the problem. It is too bad ammunition can so easily be manufactured in the home, otherwise Chris Rock's approach to ammunition control might work.